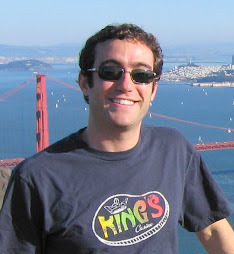 My Life, Starting Up: OpenSocial, Is It That Great? There's been a lot of news out in the last few weeks and months about OpenSocial, Google's social networking API. The basics behind Open Social is that it allows a set of interoperable API's that any supporting website can implement. This will allow sites to easily interface with other websites offering support for OpenSocial. You would be able to use an OpenSocial based photo app on any social network that supported it (Friendster, Orkut, LinkedIn). 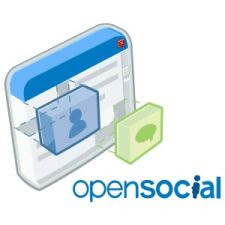 OpenSocial was initially released with quite a bit of fanfare, mostly because it was viewed as a democratic response to the closed Facebook platform, providing greater openness and flexibility between apps. But there were problems early on. It was released without much functionality. Most of the gadget API's were not initially supported or just plain didn't work. This left a sour taste in the mouths of many of the companies excited to participate in the initiative. They did, however, receive initial support from some of the major players in the social networking space, like MySpace. They've since received even more support from some other large players in the game, Yahoo!, Hi5, LinkedIn, etc. A few days ago Google, Yahoo, and MySpace announced the OpenSocial Foundation to "ensure the neutrality and longevity of OpenSocial as an open, community-governed specification for building social applications across the Web". While this is all good and nice, I'm still waiting to see the value add for the consumer. In theory, it seems like a good idea if there are a wide variety of social networks and applications that users can take advantage of. Unfortunately, at this point, that just isn't the case. In addition, consumers generally use different social networks for different things. I don't think the social networking space is that fragmented. There are only a few major social networks in each category - for fun (Facebook, MySpace, Friendster), social networks for the corporate setting (LinkedIn, Doostang), and niche social networks (TripAdvisor, Ning). I guess it can help the little guy if he wants to make his app available across the board, but as long as Facebook isn't providing support and remains the leader, this just doesn't live up to the hype. Not yet.